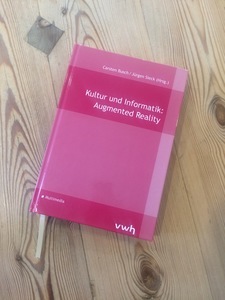 Augmented reality is generally understood to be a direct or indirect view of the world supplemented by additional information, data or graphics. It provides an enhancement to our perception of reality, usually in real time. This chapter examines how digital photography, with its image-creation based overlays and information, may be understood specifically as a process of perception enhancement. This approach, differing from previous understandings of photography in the analogue age, may offer a new account of how the world is mediated and interfaced.